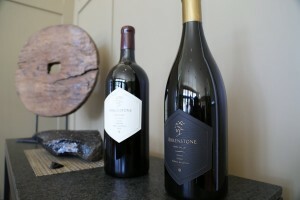 Arkenstone Vineyards has been a project in the works at the time of this review, for the past 12 years. 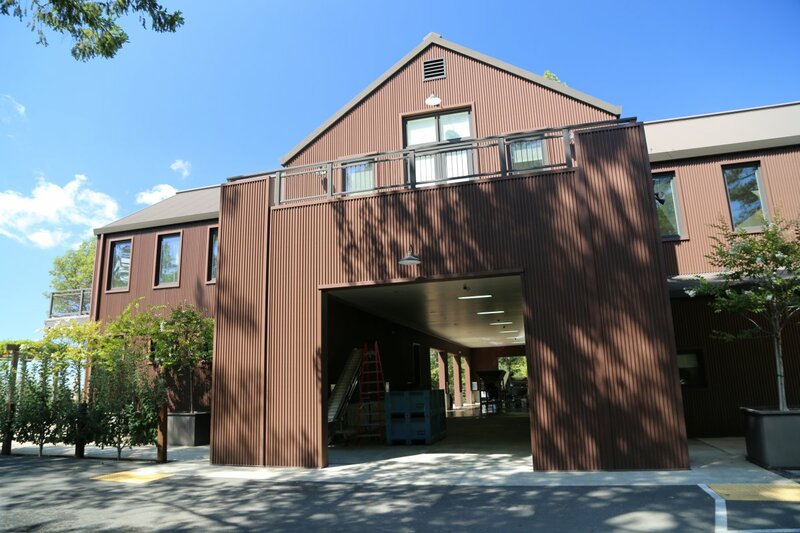 This is a winery that prefers to take their time and ensure that things are done correctly and this is especially true with their vineyards. 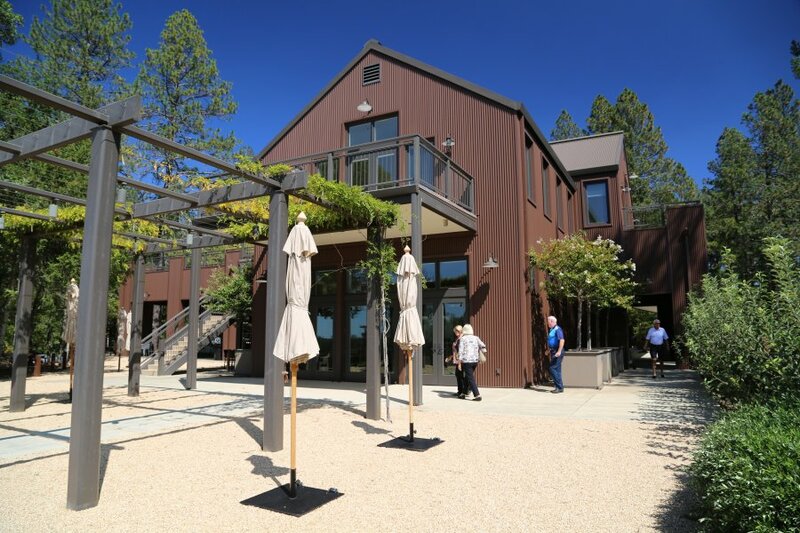 Ron and Susan Krausz have owned their Howell Mountain property for the past 20+ years. 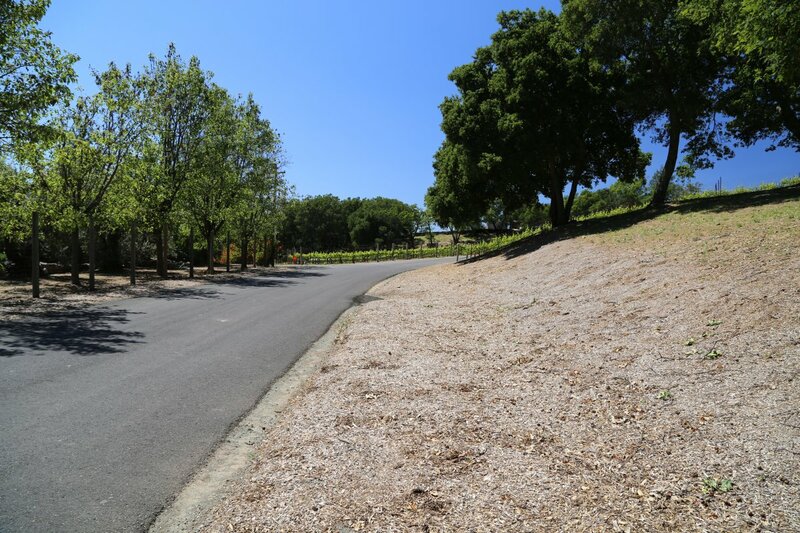 The property is located on the western slopes of Howell Mountain in a very good vineyard neighborhood – nearby neighbors including Lail Vineyards and Bravante. 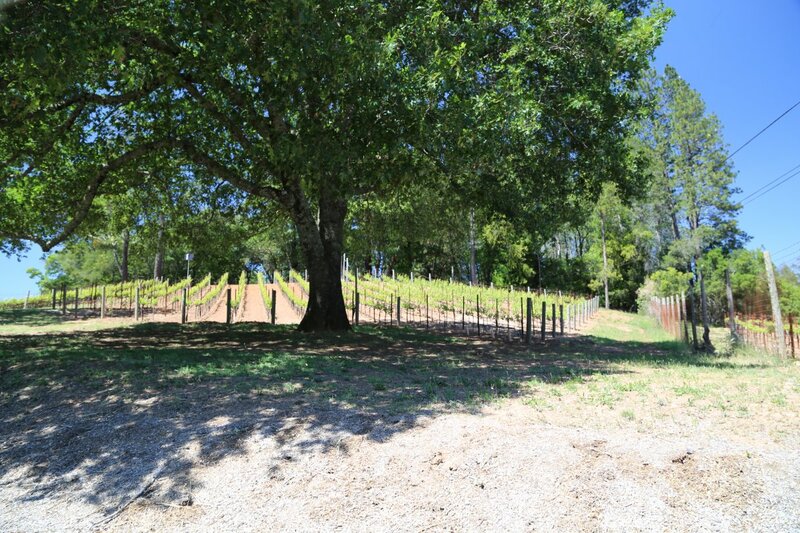 Arkenstone planted their first vineyard blocks in 1998 being extremely careful to plant in open areas so that few native trees would have to be removed. Today 13 acres are farmed, surprisingly separated into 22 unique blocks based on soil types and varietal selections. 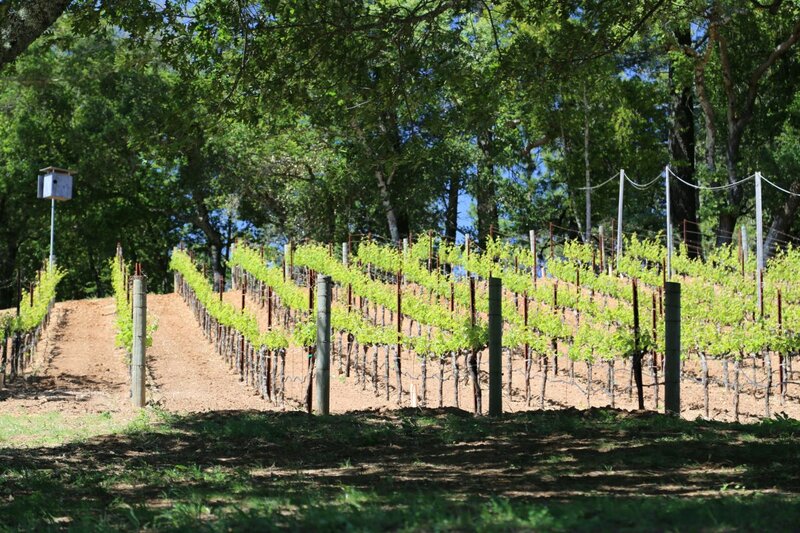 Howell Mountain is a beautiful appellation and because of its location and elevation is a region that contains a number of pine trees. It is an area similar in vegetation to parts of the Sierra Nevada’s to the east that are also located around the same elevation. 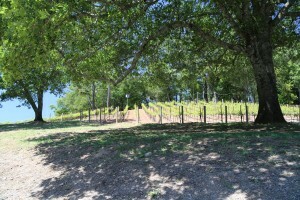 As with other Howell Mountain vineyard sites the soils are extremely rocky and parts of their vineyard are on steep slopes. They have been able to use a number of these rocks in their landscaping and in the actual construction of the buildings on site. 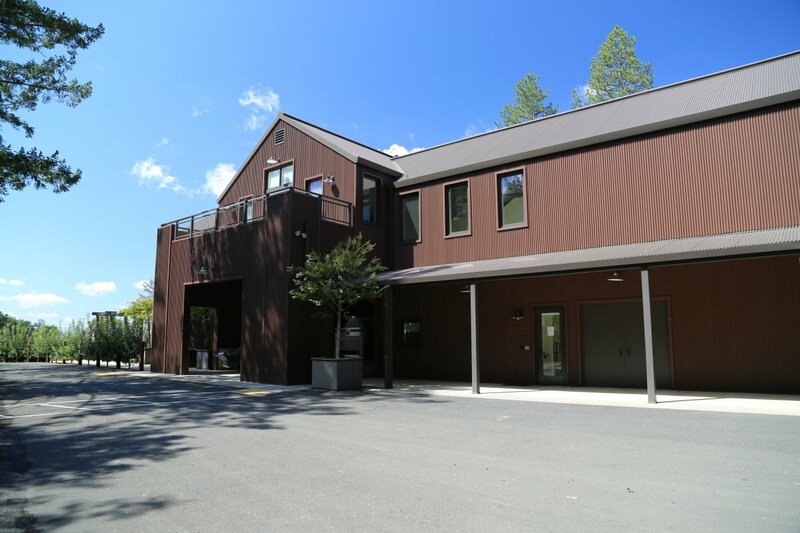 Neighbor and good friend Robin Lail provided the original spark to get into the wine industry and in addition the Krausz’s had a farming background which certainly helps when growing and managing vineyards. 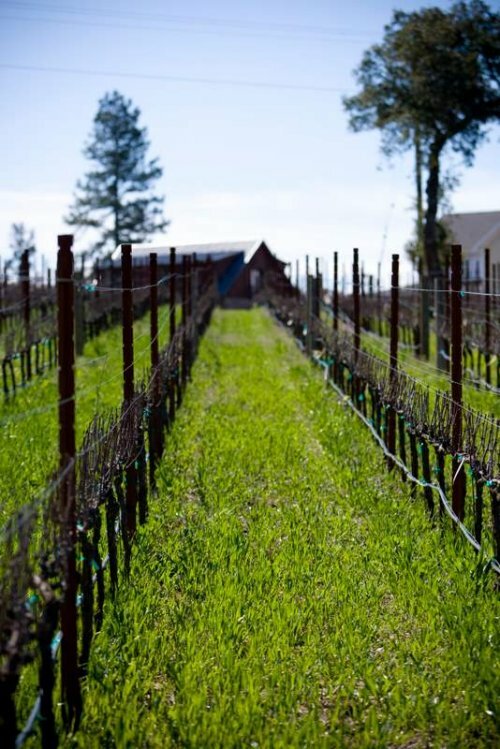 Through Lail, well regarded soils, viticulture expert and winemaker Philippe Melka (originally from Bordeaux France) walked the property and soon helped them match specific soils to specific rootstalks and clones. 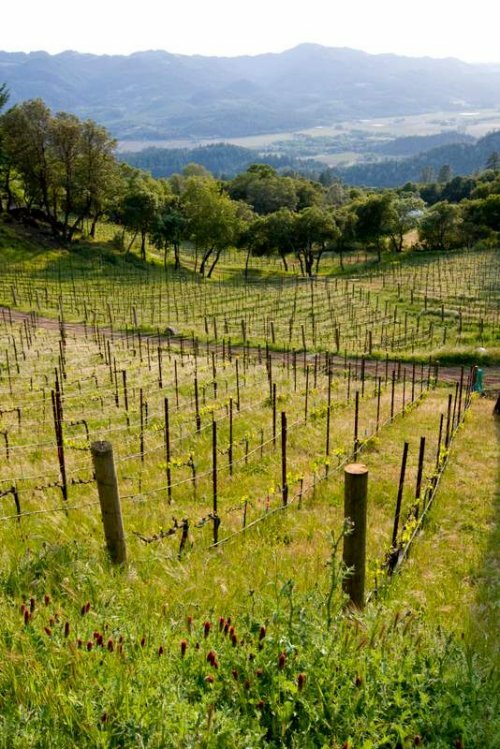 There are currently 24 blocks planted and over the past 5 years they made wine every year but never produced it commercially. 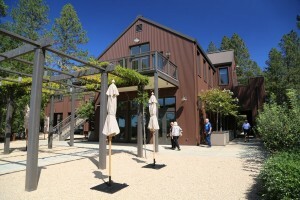 Philippe Melka was their consulting winemaker. 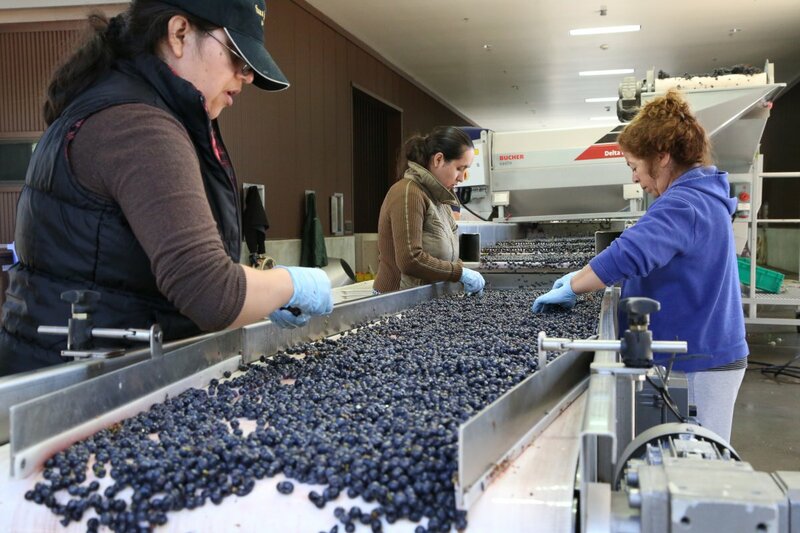 During this time they were discovering the “sweet” spots in their vineyard as well as making minor adjustments to certain blocks by changing out clonal selections and rootstalks to better match the specific site. 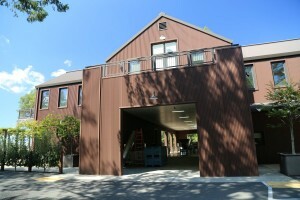 This is a winery that has the luxury of time to do things properly with the focus being on quality. 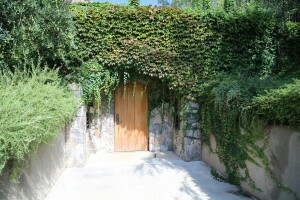 As a result their first vintage dates from 2006, 8 years after their vineyards were planted. Their vineyards are farmed organically and managed sustainability and have been since the beginning. 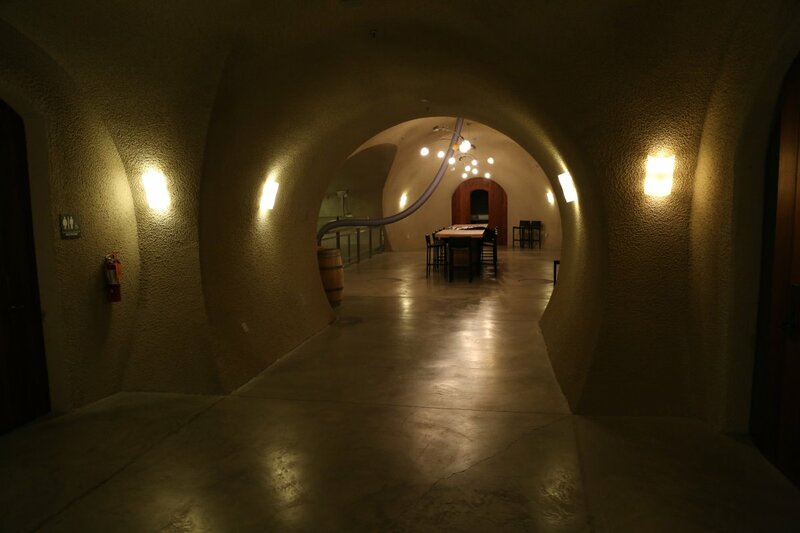 At this stage of the project we are mostly meeting with “virtual” wineries and it is always a treat to visit a physical winery. 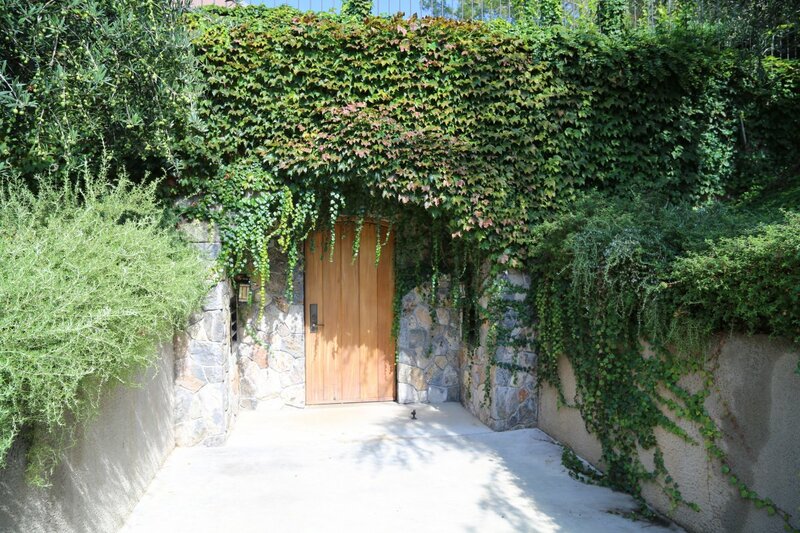 This is certainly one of the nicer cave wineries in the valley. Winemaker Sam Kaplan has been on board for a number of years and played a prominent role in helping design the wine making facilities including a very neat design specific to their tanks. You’ve seen the jacketed tanks for temperature control but this facility actually has temperature control built right into the floor taking this an extra step. 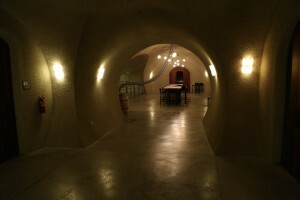 Everything in this elegant cave is designed with the wine making in mind and is very state of the art. Sam is also their vineyard manager; they employ their own vineyard management crew rather than using a vineyard management company (this “in house management” is certainly becoming rarer in the valley). All of Arkenstone’s wines are estate grown and they are one of only 2 vineyards we know of on Howell Mountain growing Sauvignon Blanc commercially. If you are looking for a Sauvignon Blanc that you can actually age for a few years this is a great candidate. There are so many different Sauvignon Blanc styles on the market and the style that this wine is made in is what we enjoy drinking. 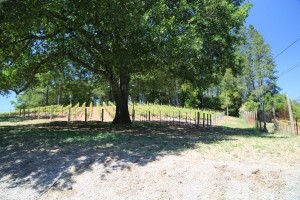 Its made more in the French Graves style in that Semillon is blended in, it does not see tank at all, rather it is barrel fermented and then aged sur lees in French Oak for a lengthy time which helps produce a rich rounded texture. This is certainly not your quick to market Sauvignon Blanc, rather it has already been aged a few years upon release. 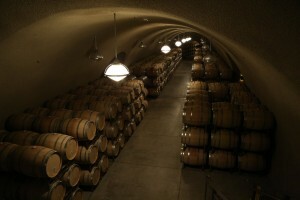 Their first release is the 2006 vintage. This vintage shows great color (golden honey) – there are no grassy notes in the nose or on the palate. The bouquet shows some mineralities and notes of honey with tangerine blossom. 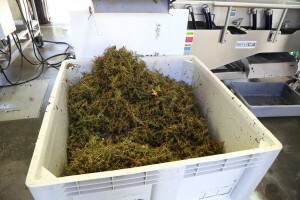 The small amount of Semillon also adds to the very aromatic bouquet. If there ever was a candidate for a “full bodied” Sauvignon Blanc this is it! 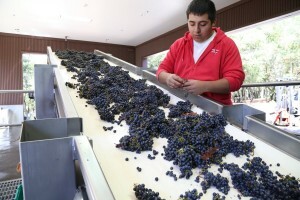 It is a wine that shows excellent complexities of flavor, depth and viscosity. The palate reveals intense fruit including apple and pear with a nice note of spiciness (baking spices). The finish is super long, crisp and leaves subtle flavors of grapefruit. 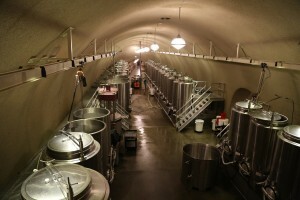 Merely 180 cases of this wine were produced. 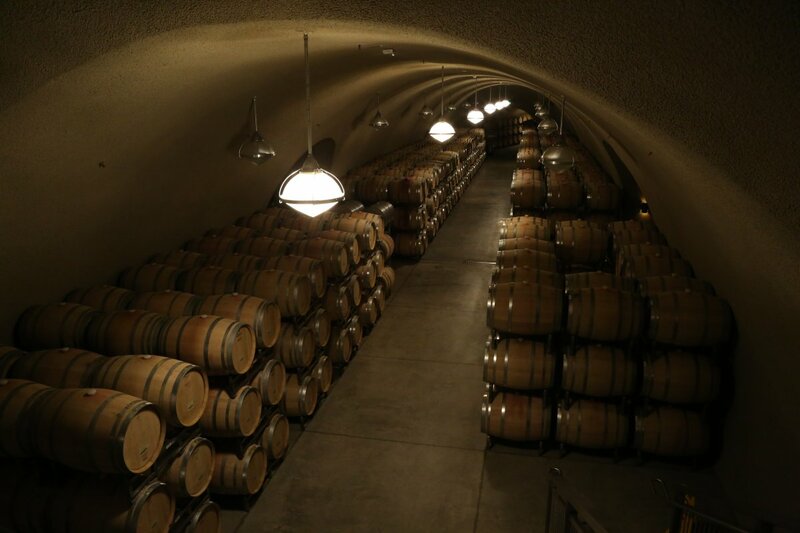 This wine sees plenty of aging before it is released – both in French oak and concrete (up to 2.5 years including bottle age). Their Obsidian wine is a Bordeaux based blend – named after the glassy obsidian found on the property. Native Americans used to winter camp on the site (warmer than the valley floor at times( bringing up obsidian from lower elevations. The 2006 Obsidian is the first release of this. 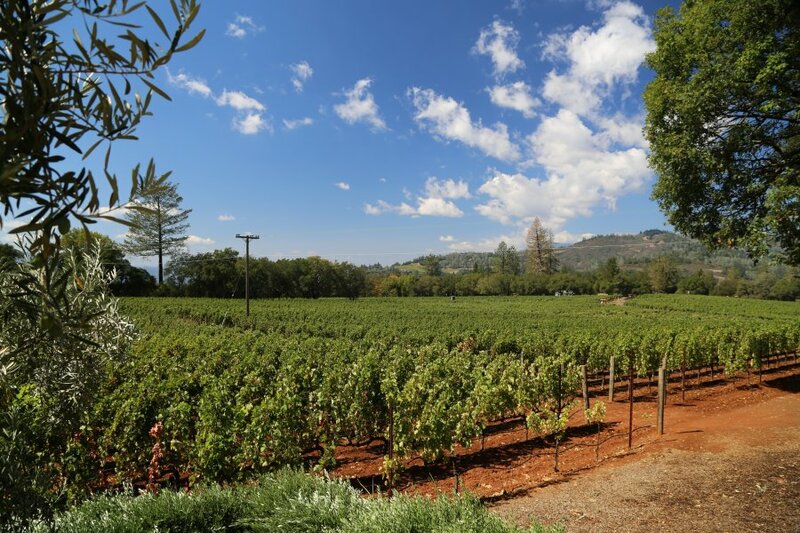 It is a fine line between a wine that is ready to consume at the time of release as well as one that has the acidity, structure and fruit to carry the wine for a number of years. This wine walks that line well and is very much already in balance. Dark fruit, forest floor notes and a unique dustiness show on the bouquet along with hints of brown chocolate. This is a complex nose that reveals more layers of aroma as it breathes. 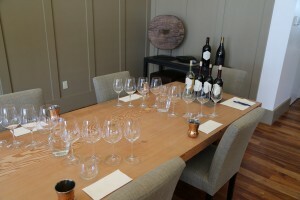 The entry is rounded and soft and gains in intensity starting from the mid palate. 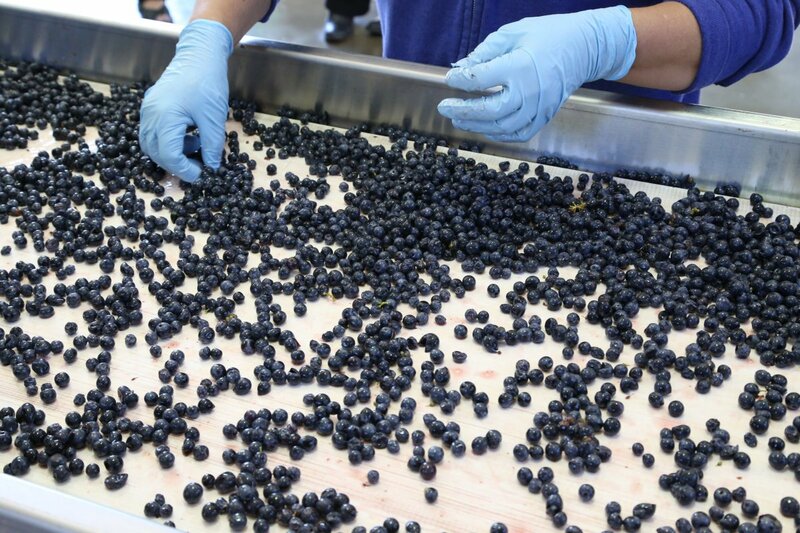 More dark fruit shows than red fruit including blackberry and dark cherry. The finish shows delicate fine grained tannins. 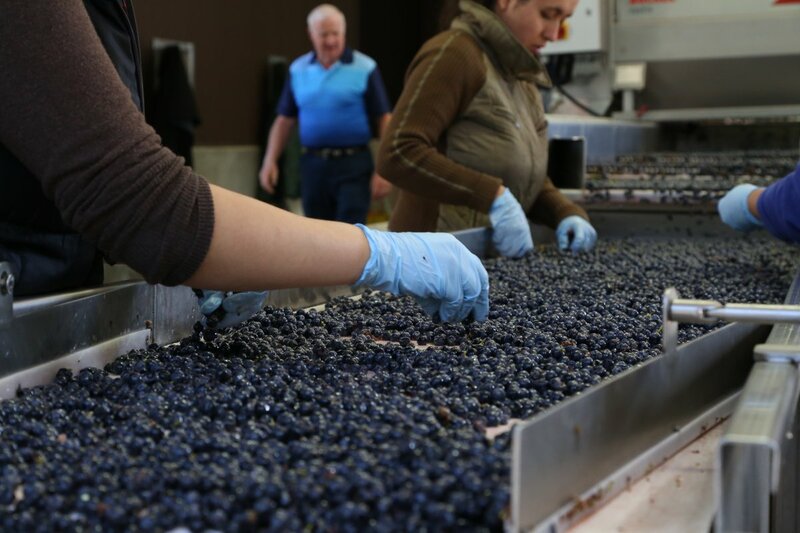 One of their priorities during wine making is tannin management – most of which they actually conduct in the vineyard (row orientation, canopy management, harvest time etc). This is an elegant wine that will appeal to a variety of tastes. 450 cases were produced. Update: We re-tasted this wine in 2015 after it had a number more years of age – the color of the wine in the glass looks like a wine of much younger age. The bouquet has some age reflected in the aromas however this wine is just as balanced as when we first tried it. The tannins have held up well. 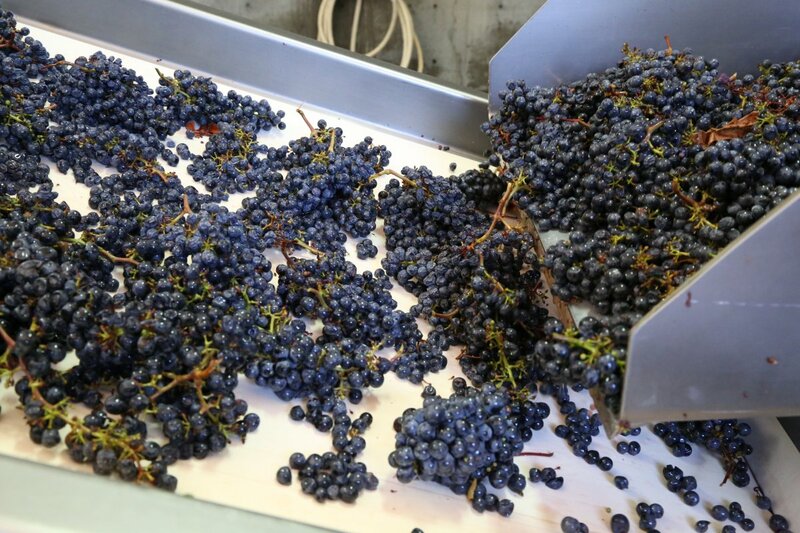 They are delicate; both wood and fruit tannins and linger softly for some time on the finish. 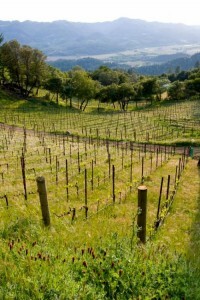 The 2012 Obsidian shows pronounced and deep dark aromatics – initially with nuances of cigar smoke. For a young wine it shows beautiful balance with a long finish – with nuances of mocha and toasted oak that lingers.